With the American Legion centennial coins now available from the U.S. Mint, Emblem Sales is offering some options to pick your favorite coin and display it with a special Legion touch. Acrylic display plaques are also available. 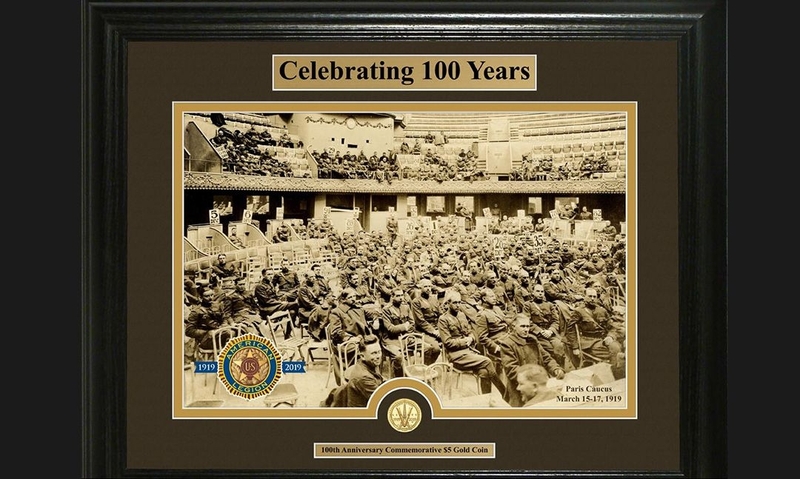 Etched with the centennial 1919-2019 logo, customers can choose the coin that will be displayed and identified on an engraved plate. Being clear, the coin will be visible on both sides of the plaque. Order by April 10 for shipment in May, and by May 10 for shipment in June. For more information and pricing, visit the 100-Year Anniversary section of the Emblem Sales website at https://emblem.legion.org/100-Year-Anniversary-new-3_26_19/products/1319.